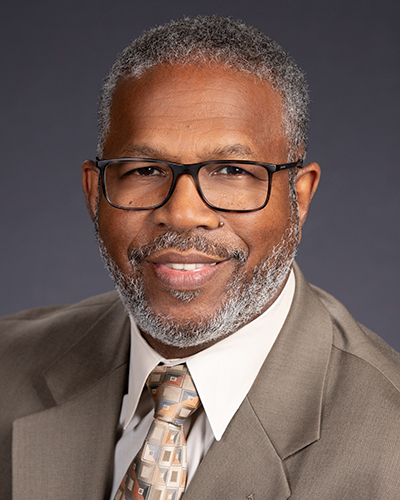 Dr. Harrison has focused his research on the influences of race related self-schemata and African American racial identity on physical activity choices and performance. The purpose of this line of research is to investigate the factors that influence sport and physical activity participation, and identity developmental patterns of African Americans. Through his research he hopes to gain a deeper understanding of the racial labels ascribed to particular sports and physical activities, and how these labels affect participation, persistence, effort expended, and performance. Additionally, he wishes to investigate ways physical educators and coaches can precipitate changes in the development of self-schemata for sport and physical activities in an effort to erase these racial labels, and broaden the perceived physical activity choices of all students. Bimper, A. & Harrison, L. (2017). Are we committed to issues of race? Institutional integrity across intercollegiate athletics. International Review for the Sociology of Sport, 52, 675–692. Harrison, L., Bimper, A., Smith, M. & Logan, A. (2017). The mis-education of the African American student-athlete.. Kinesiology Review, 6, 60–69. Harrison, L. & Clark, L. (2016). Contemporary Issues of Social Justice: A Focus on Race and Physical Education in the United States.. Research Quarterly for Exercise and Sport,, 87, 230–241. Logan, A. & Harrison, L. (2015). 4 years a football player: The social reproduction of restricted agency. Race, Gender & Class, 22, 36–53. Clark, L., Harrison, L. & Bimper, A. (2015). Generations: Academic and Athletic Integration of a Southern PWI Basketball Program. Research Quarterly for Exercise and Sport, 86, 281–291. Bimper, A., Harrison, L. & Clark, L. (2013). Diamonds in the rough: Examining a case of successful Black male student athletes in college sport. The Journal of Black Psychology, 39. Harrison, L. (2011). Athletes' Rights and Justice Issues: Its Not Business, Its Personal. Journal of Intercollegiate Sport, 4, 14–17. Rotich, W., Harrison, L. & Nyaga, P. (2011). Emerging issues in sport labour migration: Brawn drain and Kenyan runners: increasingly complex issues in sport labour migration. Internation Sport Studies, 33, 28–38. Bimper, A. & Harrison, L. (2011). Meet me at the crossroads: African American athletic and racial identity. Quest, 63, 275–288. Harrison, L., Sailes, G., Rotich, W. & Bimper, A. (2011). Living the Dream orAwakening from the Nightmare: Race and Athletic Identity. Race, Ethnicity and Education, 14, 91–103.